You could call us ecologists of the online world. Every SEO company is going to work on getting your website to the top of search pages, but then what? 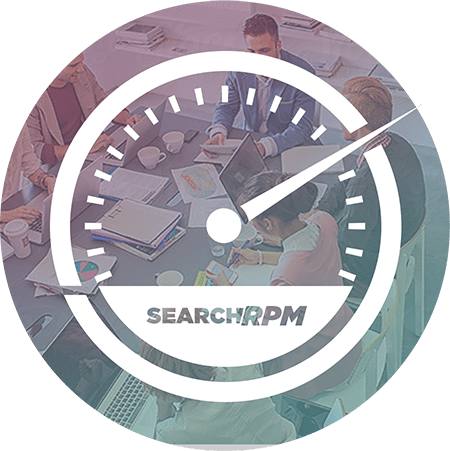 At SearchRPM we’ve evolved past the thinking that things end at rankings. You’ve tried SEO and seen some success. . . but what’s been missing is a dedicated team of creative marketing experts and their collection of cohesive strategies. It starts by designing for desired results. Infrastructure, strategy and aesthetics are designed to work together to create an experience that’s so pleasant for the customer they can’t help but convert. From the moment one of our websites or online campaigns is built it is ready to be measured. Measurement is the only way to gauge a website or campaign’s performance and take the steps needed to maximize the results. Thanks to the measurements we are able to evolve to meet the customers’ needs and give them what they want, which in turn gives us the results we established at the start. So Michael set about creating a new approach that provided tangible SEO results without sacrificing the customer experience. And the new approach worked. With each campaign over the years Michael implemented, measured and evolved the approach, applying traditional marketing principles and strategies to the world of SEO. After getting consistently exceptional results for local, national and international clients in a variety of industries it became clear that a combination of online marketing services in the hands of a creative mind was far superior to the standard SEO strategies that solely targeted search results. This evolution of traditional and modern marketing is now the basis of SearchRPM. Contact the Creative Minds Behind SearchRPM.